This comprehensive 12-month program will allow graduates to experience multiple aspects of the delivery of a broad range of client work. During the program, th ey will work with the medical, creative, technical, quality assurance and client services teams on live client projects, with a view to building a strong foundation and well-rounded skillset that can be utilised at the end of 12 months in a permanent role with emotive. Chris Edmonds, Managing Director of emotive. said, “We were overwhelmed by the number of applications that we received for our inaugural graduate program and the extremely high calibre and quality of the individuals who applied. 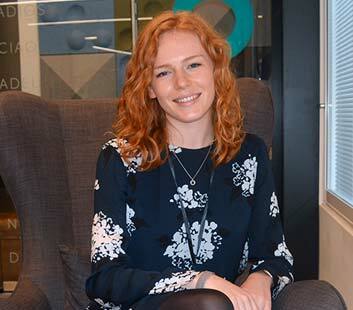 Imogen already has a fantastic resume upon which to build, and we look forward to nurturing her passion for science and healthcare communications throughout the next 12 months, as she rotates through the various departments. She is a fantastic asset to the team.